New Haven, Mo. 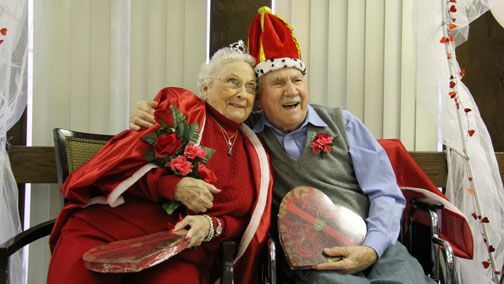 - Earlier this afternoon Clifton Blake and Octavia Straub were crowned Valentines Day King and Queen at the New Haven Care Center. The First Runner-up were Ralph Vollersten and Sharon Lias and Second Runner-Up were Lawernce Madden and Alma Holtmeir. 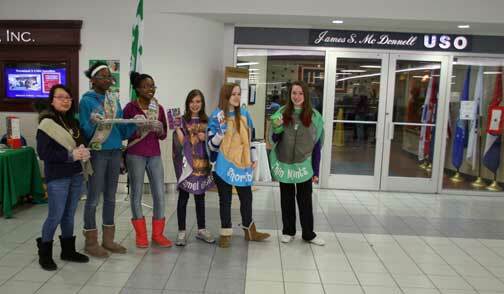 Photo courtesy Girl Scouts of Eastern Missouri. ST. Louis, Mo. - To honor those who serve and protect our nation and who come to the aid of those impacted by natural disasters, the Girl Scouts of Eastern Missouri will donate cookie orders to US military personnel on National Girl Scout Cookie Weekend, February 7 and 8, 2014. Today from 1 to 4 pm, a Girl Scout Troop where be stationed at a cookie booth in the James S. McDonnell USO, located on the lower level of Terminal 1, across from the M6 baggage carousel at Lambert-St. Louis International Airport. In addition, to thanking first responders for their services, Girl Scouts of Eastern Missouri shared milk and cookies with police officers, firefighters, EMTs and deputies across the Council during National Girl Scout Cookie Weekend (see dates, times and locations below). New Haven, Mo. 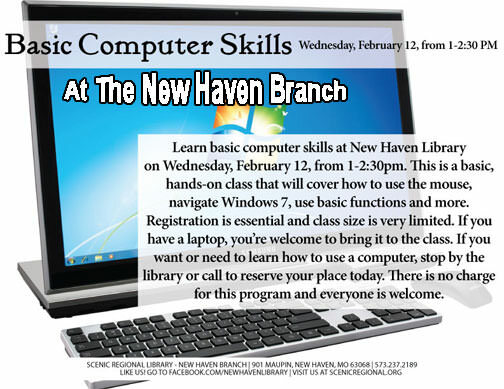 - A Basic Computer Skills class will be taught at New Haven Library on Wednesday, February 12, from 1-2:30pm. This is a basic, hands-on class that will cover how to use the mouse, navigate Windows 7, use basic functions and more. New Haven, Mo. 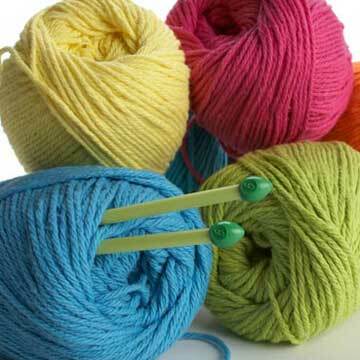 - Do you knit, crochet or enjoy yarn crafts of any kind? If you do, you’re invited to the New Haven Library on Wednesday, February 5, from 6-8:00pm. 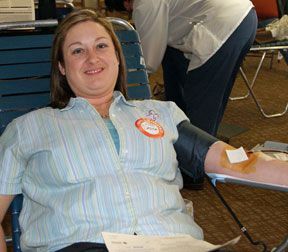 This new group will meet on the first Wednesday of each month. On Wednesday, we hope to get acquainted and find a catchy name for the group. Pictured left to right back row: Park board members Susan Lenger,VP, Lynn Corbin, Sec., Bruce Cox, Board of Alderman advisor of park board. Pictured in front: Hermann Area District Hospital Administrator Dan McKinney presents a $2000 check Hermann MayorDolores Grannemann. Hermann, Mo. 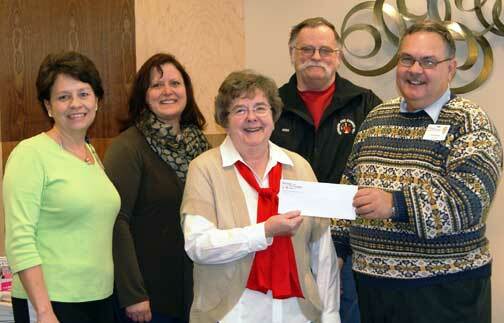 - The Turkey Trot event, which was held on Thanksgiving Day 2013, is a 5K run/walk, collected $2000 which was presented to the Hermann City Park Board. New Haven, Mo. - The sermon series, "Love to Stay," continues this Sunday as Pastor David Poe preaches on "What She Wants, What He Wants" at the 8:00 a.m. and 10:00 a.m. worship services. Childcare is available during the 10 a.m. service for children 5 and under. Sunday School for all ages is offered at 9:00 a.m.
New Haven, Mo. 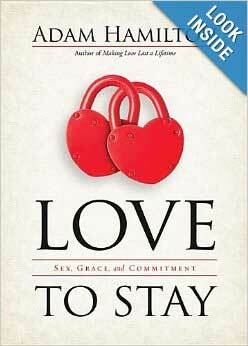 - Falling in love is easy, but staying in love takes courage, hard work, and lots of grace. In the next six weeks, David Poe explores the ups, downs, and how-to's of marriage and how, with God's help, we can make love last. Poe draws on an extensive survey of thousands of couples and singles, the latest research in the field, wisdom from the Bible, and stories from his own ministry to explore what it takes to create and sustain healthy, meaningful romantic relationships across the course of a lifetime. 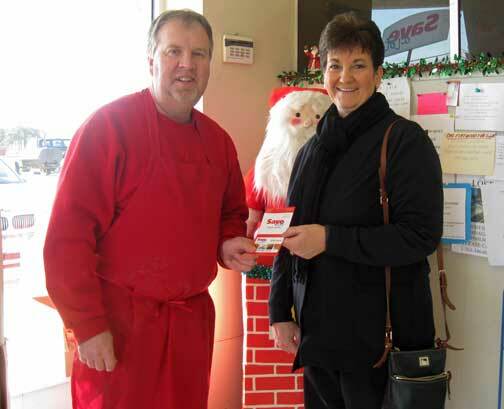 Pictured above: Bryan Quick presents Kelly Bauer, one of four winners of a $25 gift card. New Haven Save-A-Lot celebrated the holiday season throughout the community by giving away four-$25 gift certificates during the week before Christmas. Pictured below are the three other lucky winners. New Haven, Mo. 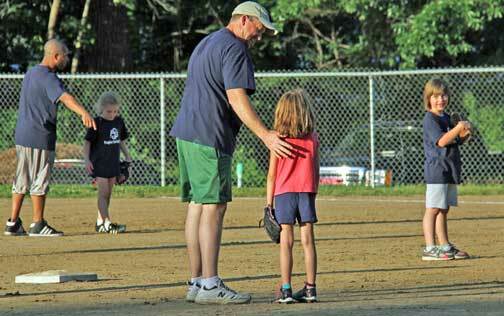 - “Play Ball!” The 2014 Little League season brings in a new Director and a new era of little league baseball and softball to New Haven.